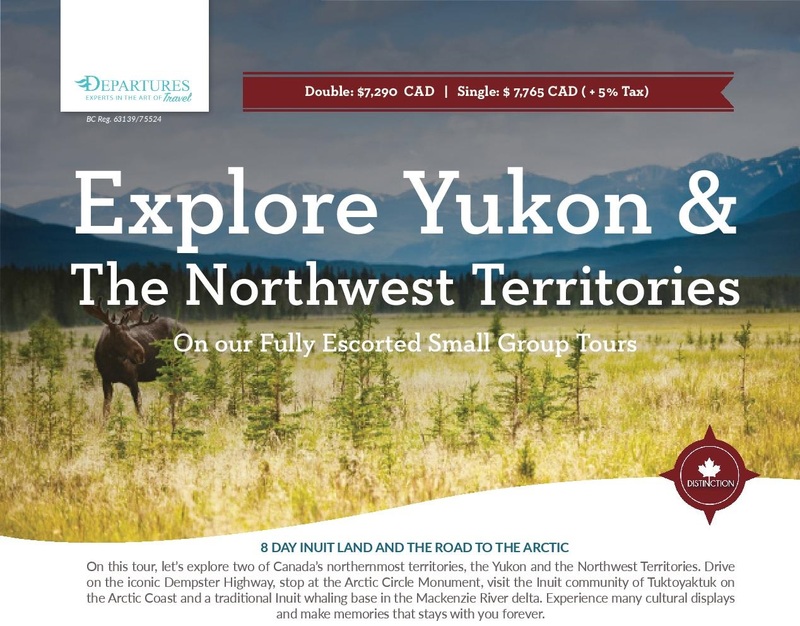 On this tour, let’s explore two of Canada’s northernmost territories, the Yukon and the Northwest Territories. Drive on the iconic Dempster Highway, stop at the Arctic Circle Monument, visit the Inuit community of Tuktoyaktuk on the Arctic Coast and a traditional Inuit whaling base in the Mackenzie River delta. Experience many cultural displays and make memories that stay with you forever. 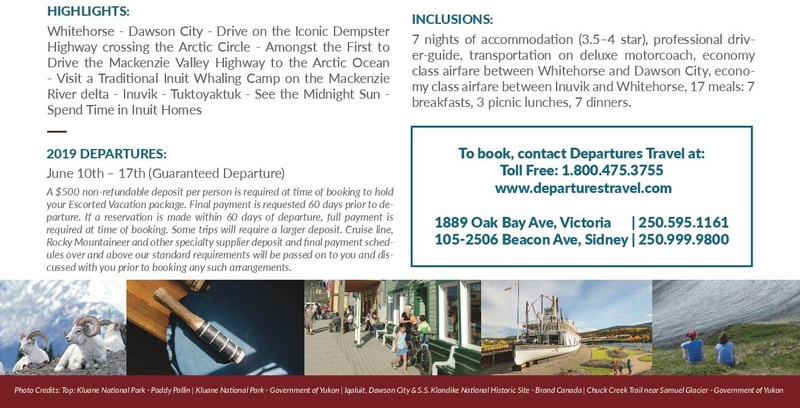 7 nights of accommodation (3.5–4 star), professional driver-guide, transportation on deluxe motorcoach, economy class airfare between Whitehorse and Dawson City, economy class airfare between Inuvik and Whitehorse, 17 meals: 7 breakfasts, 3 picnic lunches, 7 dinners.